Have you ever wondered about getting those capes with unique designs and colors? If you have, this guide will tell you all about them! There are 50 capes in total, sold by the Cape Sellers located throughout the Wilderness. Team Capes are available to both Freeplayers and Members of RuneScape. While wandering around in the Wilderness, you may come across a Cape Seller or two trying to sell you a special Team Cape. There are a total of 50 capes to choose from, and each set of capes has its own unique design. The main purpose of Team Capes is to prevent you from accidentally attacking your friends in the Wilderness. 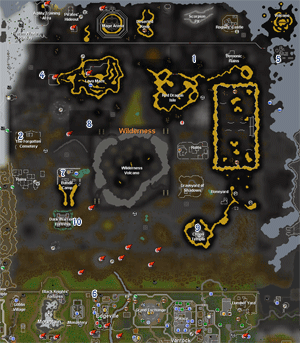 When two players wear the same Team Cape, they will appear as a blue dot, rather than white, on each others' in-game minimap. Additionally, the left-click option to Attack another player wearing the same cape will be moved to the right-click context menu. 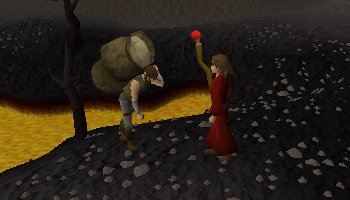 The left-click option for two players wearing different team capes will always be to Attack the other player, even if the other player is a higher level. Of course, team capes look neat too, so you can wear them anywhere! They match well with all sorts of outfits, and they only cost 50gp each. 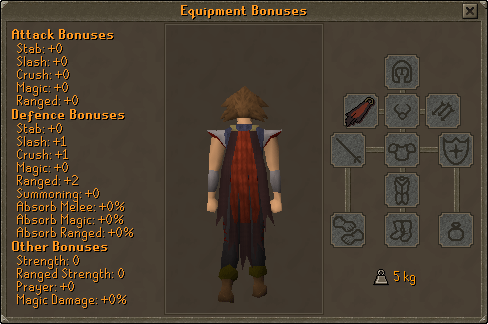 All Team Capes have the same equipment bonuses when worn. A single Team Cape may also be stored on your Player Owned House Cape Rack, so you can always have your favourite Team Cape just a House Teleport away! 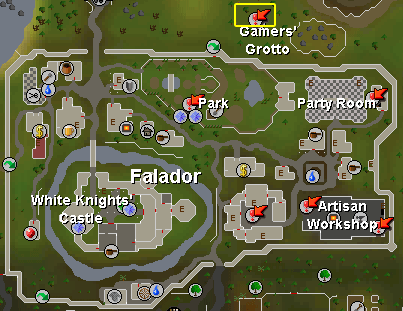 There are nine Team Cape merchants scattered throughout the Wilderness, and one located in the Gamers' Grotto. Each cape merchant sells five different capes of the same style, but different colors. 1 1, 11, 21, 31, 41 William Center Box East of the Lava Maze and north of Red Dragon Isle. He can wander as far as the Demonic Ruins, and may even wander north into Members Wilderness. 2 2, 12, 22, 32, 42 Ian X Northwest corner of the Forgotten Cemetery. 3 3, 13, 23, 33, 43 Larry Cross In the Clan Wars portal room of the Gamers' Grotto. 4 4, 14, 24, 34, 44 Darren Checkered Boxes West of the Lava Maze. 5 5, 15, 25, 35, 45 Edward Horizontal Stripes East of the Demonic Ruins, in the southwest corner of the ruined castle peninsula. 6 6, 16, 26, 36, 46 Richard Top Box Just north of the Edgeville General Store, near the Wilderness Wall. 7 7, 17, 27, 37, 47 Neil Center Patch Northwest corner of the Bandit Camp. 8 8, 18, 28, 38, 48 Edmond Top Circle South of the Lava Maze and east of the Hobgoblin Mine. He can sometimes wander as far east as the Moss Giant area, and as far south as the Wilderness Volcano. 9 9, 19, 29, 39, 49 Simon Border North of the Chaos Temple. 10 10, 20, 30, 40, 50 Sam Spotted East of the Dark Warriors' Fortress. Remember, some of the Cape Sellers tend to wander around a bit, so you may need to look around the area for them. This is especially true for William and Edmond, as they wander around the most. 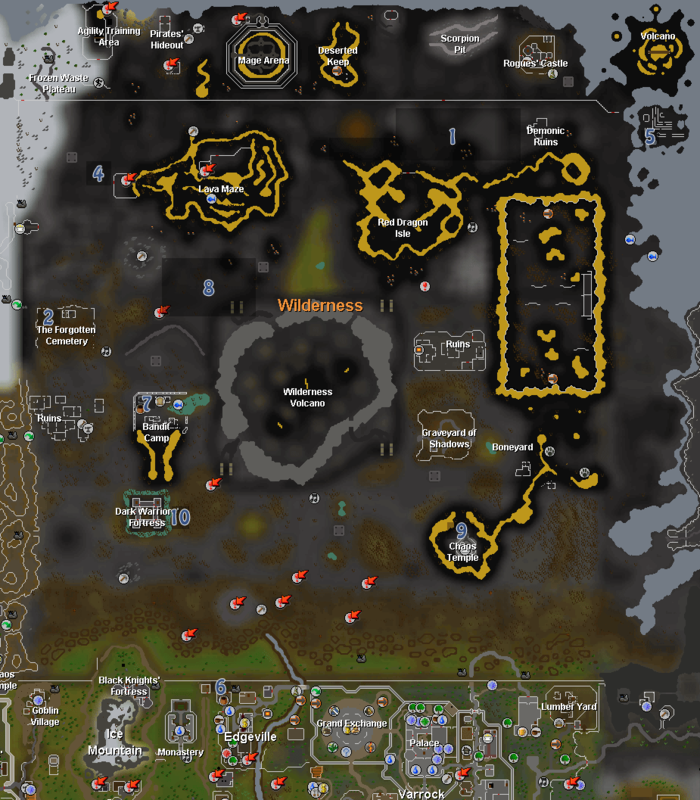 The following is a map of the Team Cape Seller locations in the Wilderness. Larry is the only merchant who cannot be found in the Wilderness. Instead, he can be found in the Gamers' Grotto, located just north of Falador.